Earn Cash - How it Works? 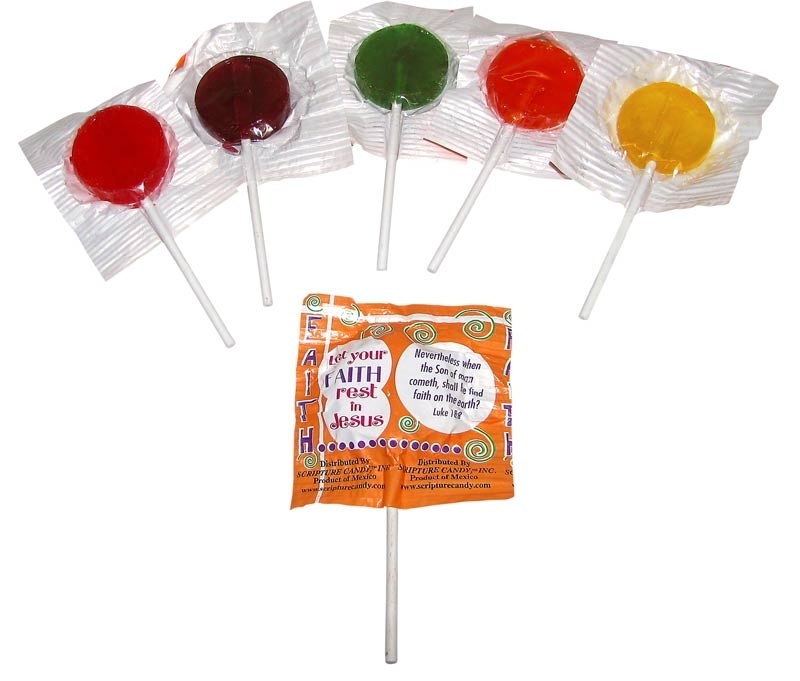 A 20 count assortment of fruit-flavored lollipops: Grape, Lemon, Orange, Cherry, and Lime. 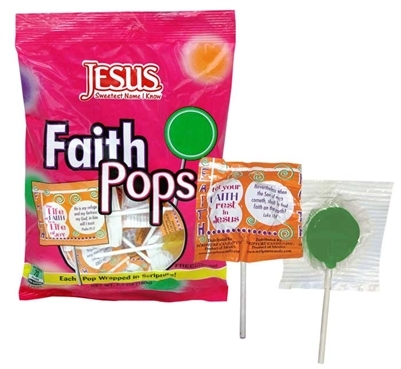 Now comes in a new fun package! Each pop is wrapped in 1 of 62 variations of "faith" scriptures and sayings. Great for parties.